Today, we live in the golden age of the eyebrow. And what’s the best way to thrive in it? With gorgeous arches, of course—which is why it’s time we talked about what microblading is for. Eyebrow makeup became extremely popular in the early 2010s, and there are no signs of it exiting the center stage anytime soon. 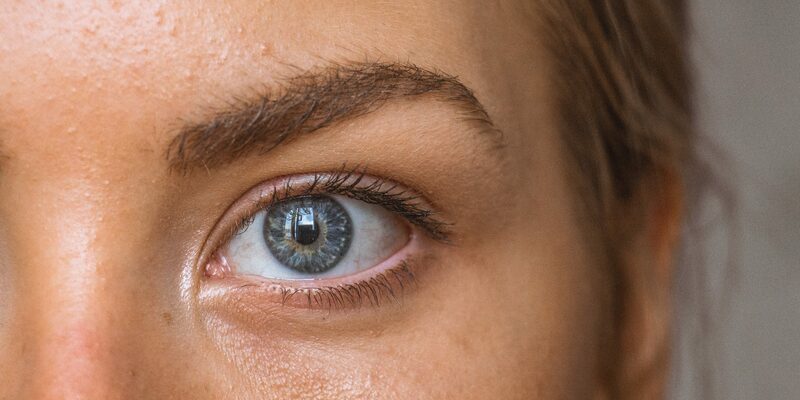 Microblading is just one of the many ways you can get gorgeous brows—but we argue that it’s the best among the bunch. Microblading is, essentially, tattooing. The process involves using coloring pigments to recolor or fill in small areas of the body that need retouching. What makes microblading a distinct process are the strokes involved. Permanent makeup artists utilize thin, tiny strokes, often used to mimic a person’s natural hair. This makes microblading ideal for the eyebrows and scalp, as well as the lips and other pigmented areas of the body. Additionally, microblading is a decades-old process. To understand what microblading is for, we need to look at how it came to be. History points to ancient Japanese culture as a starting point for microblading, known also as “permanent makeup.” Woodworkers (known as Ukiyo-e) shifted from woodworking to tattooing as a means to earn a better living. This shift was made despite the taboo on tattoos, as the Japanese common folk was big fans of tattoos. Horimono (or the traditional Japanese art of tattooing) utilized pigments made from charcoal and cadmium, which made for rich colors. Tattoo artists used bamboo rods with fixed needles to etch the designs on the skin. This technique is known as tebori, which means “to carve by hand.” Tebori is often cited as an early inspiration for microblading. In the West, microblading gained traction as the economy demanded more and more time of its working population. Women wanted to look beautiful without risking being late to work. Permanent makeup allowed them the luxury of never having to retouch their eyeliner, eyebrows, or lips throughout the day. As microblading became commercialized, however, the pigments used for permanent makeup became metal-based. This posed health problems to women, not to mention the botched microblading attempts. Fortunately, the permanent makeup industry would be saved by the arrival of organic permanent makeup. As the name suggests, organic permanent makeup (OPM) uses pigments made from organic materials, such as food and minerals. This allows the microblading process to be safe, as well as compatible with all skin types. OPM also lessens the need for mining as it has no need for mineral-based pigments. The beauty industry often reflects its clientele, and OPM reflects the movement to save the environment. With OPM, women can finally achieve permanent beauty without damaging Mother Earth or risking their health and safety. Organic Eyebrow Microblading. Artists use organic, natural pigments to fill in sparse eyebrows or reshape eyebrows to the client’s preferred shape. This process discards the need for your daily eyebrow makeup routine. Organic Ombre Eyebrow Microblading. Eyebrow experts fill in your arches using the popular gradient method, with a darker inner brow and a lighter outer brow. Ombre brows are perfect for those reluctant to get a full brow look. Organic Lip Contouring. Microbladed lips give clients a permanently flushed lip color and allow them the option of making their lips look larger or smaller. Organic Eyelash Enhancement. Organic, natural pigments are used to emphasize the lashline, giving off an impression of thicker, fuller lashes. This eliminates the need for eyeliner and mascara. Organic Scalp Micropigmentation. Perfect for bald spots or balding hair, scalp micropigmentation involves tattooing tiny dots that mimic natural stubble on your head. Organic Areola Restoration. Microblading can be used to reconstruct or restore areolas affected by cancer treatments. In addition to the versatility of microblading, there are also several advantages to getting permanent makeup (as opposed to traditional makeup). Check out the pros to getting microblading done by a pro. If you want one or more of these permanent makeup advantages, then you know what microblading is for: you. Long-lasting. Unless otherwise stated, you can expect your microbladed eyebrows, scalp, or lips to stay effective for up to two years! With the proper aftercare and maintenance, you can have long-lasting, hassle-free beauty. Time-saving. Imagine: you get up in the morning, get in the shower, dress for work, eat breakfast, then head out the door. Sounds too good to be true? Permanent makeup is wash-and-wear: no more draining makeup routines for you! Quick and painless. Eyebrow microblading won’t take up more than an hour of your time. You could visit OPM during your lunch break and be back at your desk in no time. OPM also makes sure you’re prepped and ready before the procedure, so your experience is painless and relaxing. Zero downtime. Unlike beautifying surgical procedures, microblading doesn’t require you to take a few days off from work or hire a babysitter. In fact, the only change in your day is your aftercare and your constant staring at your own gorgeous reflection! In addition to all these, organic microblading as offered by Organic Permanent Makeup ensures your safety and health. Our organic pigments are food- and mineral-based, making them 100% safe to use. If you want long-lasting beauty that skips the health risks, go for organic permanent makeup. We’ve all seen and heard the microblading horror stories. After all, they’re fascinating and terrifying in equal measures. Understandably, these stories have discouraged, if not scared off, many women who otherwise wanted to try microblading. Permanent makeup is no joke (hence the word permanent)—it’s only right to be careful. The thing is, all these microblading horror stories have the same culprit: unprofessional microblading artists. Like any other beauty procedure, permanent makeup is safe in the hands of a trained expert. Even a manicure or a haircut could end up being disastrous if you choose the wrong parlor, couldn’t it? The same principle applies to microblading. If you’re not convinced, check out the brows on stars like Adele and Mandy Moore. These Hollywood staples have microbladed brows, and they look great. Their secret? A skilled and dedicated microblading artist. A trained expert. Did your permanent makeup artist learn at an authorized, positively-reviewed microblading academy? Because they definitely should be. Dedicated to helping you find your look. You could find a skilled microblading artist, but the question is: will they help you determine a look that fits you? Or do they just want to accomplish a standard lip and get the job over with? Location. How far are you willing to travel for a trusted clinic? Chances are, there’s a number of places in your area, but not all of them might pass your standards or meet your expectations. The closer the clinic is to you, the easier it will be for you to get retouches or go in for any questions or concerns. Sanitation and safety. Microblading is tattooing, and tattooing involves making small incisions in your skin. Proper tool sanitation is essential. Find a clinic that assures you of your safety (and proves it, too). Expertise. A good microblading clinic will hire only the best microblading artists. Research on the artists in your shortlisted clinics, and find out where they studied permanent makeup. This will give you an idea of how good they are. Reviews. A clinic’s blog and website will only give you the good stuff. If you want to know what a clinic is really like, check out their reviews. Of course, note that clients often write reviews on exceptionally good and exceptionally bad experiences. No clinic is perfect—a few bad reviews shouldn’t discourage you. However, if their reviews are nothing but negative, then you best steer clear. If you’re still wondering what microblading is for, then we can summarize its purpose in one word: experience. Permanent makeup allows anyone to have the experience of waking up beautiful and confident. Microblading frees up your time and lets you experience life to the fullest, free of worry and the day-to-day grind of getting ready to face the day. Read more about permanent beauty today, and take one step closer to a hassle-free life! Organic Permanent Makeup offers organic microblading for your eyebrows, eyelashes, lips, scalp, and areola. Lorine Mikhaeil, R.N. both invented organic pigments and founded the first organic permanent makeup company in the US. Our in-house microblading academy takes enthusiastic students and produces skilled microblading artists. We also offer microblading pigments and tools for artists across the country. OPM is your one-stop shop for quality microblading that will give you no-risk, long-lasting beauty.